Fall is here! Grab some colored pencils and some lined paper to write a special paper about the colors of Fall! 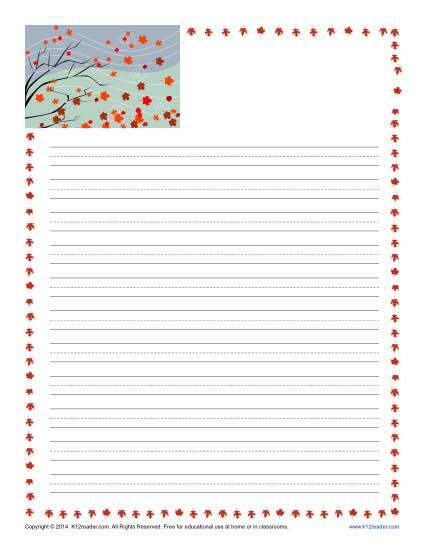 This writing paper is designed with Fall images to help spark kids imaginations and lined to help even the youngest writers!